Many times a Muslim who has never read the Bible will make a false claim about what Jesus says, and when he's rebutted, he will complain that Christians are confused. “I can do nothing on My own." But that is not all of what Jesus said. That is why Muslims are confused about the Bible, because they and their imams insert their own interpretations into what Jesus actually said, instead of allowing the Bible to speak for itself. 24 “I assure you: Anyone who hears My word and believes Him who sent Me has eternal life and will not come under judgment but has passed from death to life." It is Jesus' word that brings eternal life. You can be spiritually dead one moment but alive the next IF you believe in JESUS' words in the Bible. All Christians who have been born again into new life have done that. 25 "I assure you: An hour is coming, and is now here, when the dead will hear the voice of the Son of God, and those who hear will live." Jesus raises the spiritually dead as well as the physically dead. Jesus just said it is His VOICE which brings the dead out of the grave. 26 "For just as the Father has life in Himself, so also He has granted to the Son to have life in Himself." In the same way that the Father has life, Jesus has that life. Key phrase: "in the same way." He uses the word "granted" because Jesus has come to earth and inhabited an earthly human body. Bible scholars call this Jesus' "humiliation" because the Almighty God demeaned and humbled Himself to rescue you, Abdul, from the sins you can never pay for on your own. One of the central differences between a non-believer and a Christian is we Christians KNOW we are sinners and will never, ever be able to "pay God back" for all of our sins. He is just too holy and our sins are just too filthy. He knows that we can't do it. That's why He sent Jesus. 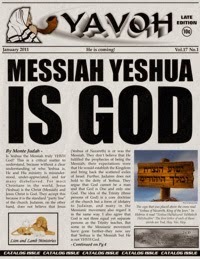 27 "And He has granted Him the right to pass judgment, because He is the Son of Man." Jesus is going to judge sinners. Who else has the right to do that but the pure Son of God Who has been in a human body and experienced what it's like to be tempted but never once succumbed? 29 and come out—those who have done good things, to the resurrection of life, but those who have done wicked things, to the resurrection of judgment." 30 “I can do nothing on My own. 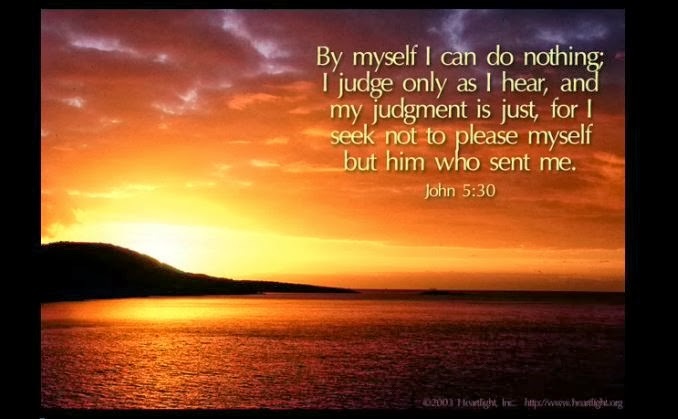 I judge only as I hear, and My judgment is righteous, because I do not seek My own will, but the will of Him who sent Me." He cannot and will not judge on His own. The Son never does anything out of perfect synch with the Father. It is not His will that will be followed, but the Father's will. THAT is the Perfect Son. That is why He is the Perfect Adam. Because where the first Adam failed, the Second Adam, Jesus, is flawless, sinless and perfect. Because where the first Adam was only "A son of God,"
Was Jesus Just a Messiah?